Just Beautiful in a Great Location! 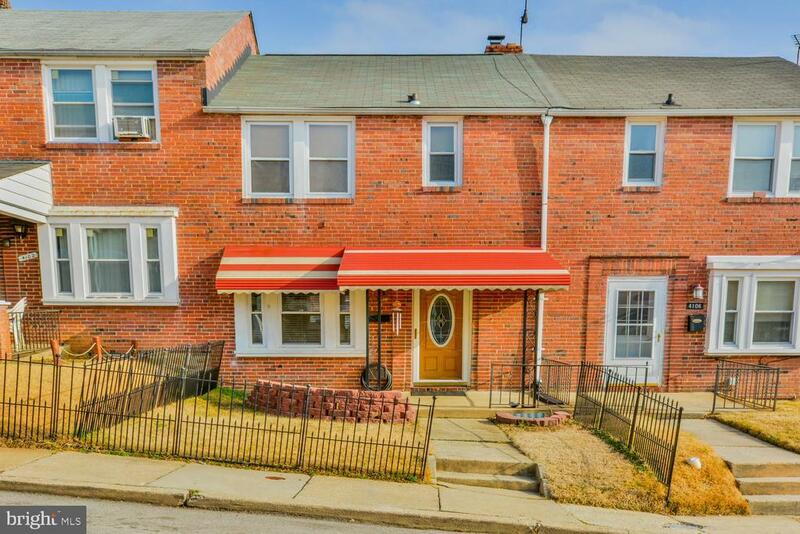 Welcome Home to This Updated Row Just Off Bel Air Rd, Close To Shopping, a Skip To Rt 695, or into The City! Updates Include: Pergo Flooring in Living Room and Dining Area. Ceramic Tile Kitchen Floor w/ Granite Counters, Updated 42" Cabinets, Kitchen Island, Glass Tile Backsplash and Pendant Lighting! Updated Baths, Spacious Rooms, Finished Lower Level with Access to Back and Parking. Did I Mention The Huge Two Car Parking Pad? This One Really Does Have It All! See It Today! I Dont Think This One Will Be Around Long!